This is the second piece in a series of articles that will offer insights and perspectives from GTM Research and Bridge to India's new report, The India Solar Market: Strategy, Players, and Opportunities. To read part one, click here. India's off-grid solar photovoltaic (PV) market has three major segments: captive power plants (where the majority of generation is consumed at the source), telecom towers, and rural electrification. 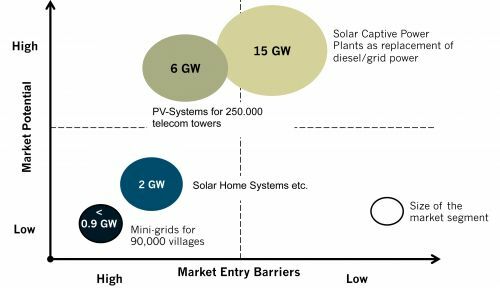 The market potential for these PV segments has created an off-grid solar market in India forecasted to install more than 1 gigawatt per year by 2016. 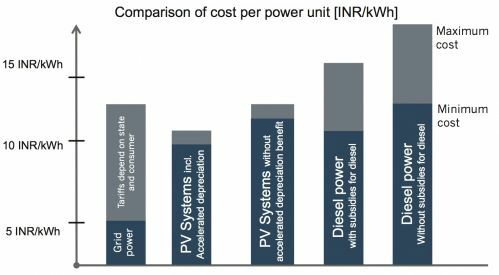 Depending on the design of the PV system, a kWh from an off-grid solar system costs INR 11 to INR 12 ($0.28 to $0.30). 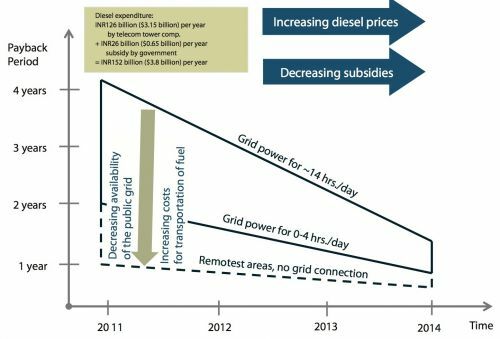 This is higher than a kilowatt-hour of grid electricity (INR 4 to INR 5 or $0.10 to $0.13) but competitive to a kilowatt from diesel gen-sets (INR 10 to INR 15, or $0.25 to $0.38). Currently, diesel costs around INR 40 ($1.00) per liter. In areas where grid power and diesel supply is erratic, solar power has a strong business case for success. In India, captive power plants (where the majority of generation is consumed at the source) with a total capacity of approximately 30 gigawatts are installed, which is equivalent to around 20 percent of the country’s total installed capacity. This capacity increased annually by 1.6 gigawatts over the last five years, due to the ascent of the Indian economy and the lack of power quality and reliability from the grid. Thus far, captive power has consisted mainly of thermal power plants fueled by coal, gas or diesel. System sizes vary from 1 kilowatt to 1 megawatt or more. Industrial captive power plants on a megawatt-scale account for 10 gigawatts of the current capacity. More than half of captive power plants are used by the metal and chemical industries; for these industries, which require both electricity and steam from existing captive power, a PV system will generally not be a feasible alternative. However, there is potential for approximately 15 gigawatts of solar captive power to supply electricity to commercial and public entities, educational and medical institutions, hotels, upper-class households, IT-service providers as well as shopping malls. Thus far, 2.5 megawatts of solar captive power plants have been installed in India. A major advantage of off-grid captive systems used for commercial purposes is the fact that negotiations for the individual PPA are only between the consumer and the EPC (e.g., bureaucratic processes are excluded). According to India's Ministry of Power's Electricity Rules, 2005, at least 26 percent of the plant has to be owned by the end-user and at least 51 percent of the electricity produced annually must be captive consumption. 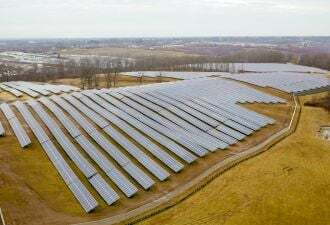 Manufacturers estimate the payback period of solar captive power plants to be two to seven years, depending on diesel prices, location and system design. According to the Telecom Regulatory Authority of India, 770 million Indians own a mobile phone, with 19 million new mobile users being established every month. The country's telecom infrastructure consists of more than 300,000 telecom towers with 3,000 towers added every month. The growth of mobile internet use is further driving the demand for bandwidth and new towers. By 2015, India is expected to have over 500,000 telecom towers. Between 80 percent and 90 percent of the towers are grid-connected, and almost all of them have a diesel power back-up. The remaining 10 percent to 20 percent are situated in rural areas and run entirely on diesel gen-sets. Their location is typically in the states of Bihar, Uttar Pradesh, Jammu and Kashmir and the northeastern states. A telecom tower typically has between 1 to 5 kilowatts of installed capacity, consuming 9,000 to 44,000 kilowatt-hours per year. In order to run a telecom tower solely on a PV system with battery backup, the generating capacity of the PV system has to be eight times to nine times as high as the average load of the telecom equipment. For a tower with a load of 3 kilowatts, a PV system with 25 kilowatts-peak has to be installed. According to the Ministry of New and Renewable Energy (MNRE), there are 250,000 telecom towers which can employ PV systems. As such, the potential for total installed PV capacity is approximately 6.2 gigawatts. The payback period for PV systems as a power supply for telecom towers is two to four years, with this period forecasted to reach less than one year by 2014. In India, at least 70 million to 75 million households in rural areas (approximately 400 million people or 80,000 to 90,000 villages) lack access to grid-based electricity. Electrified households in the rural areas on average pay INR 106 ($2.65) per month for electricity. This is less than the INR 150 ($3.75) that un-electrified households spend for light from kerosene lanterns. Assuming such rural un-electrified households are able and willing to pay the same as rural electrified households, the market potential for rural solar is in the order of INR 90 billion to INR 95 billion ($2.25 billion to $2.38 billion) per year. Approximately 250,000 grid-connected villages with frequent power outages increase this potential even further. There are three key options for providing rural, off-grid, solar PV-based electricity solutions: small applications with integrated power generation capacity (i.e., solar lanterns and solar street lights), solar home systems (SHS) and mini-grids. The high initial capital costs for solar systems create a strong liquidity barrier in rural markets, with household incomes of INR 1,500 to INR 5,000 ($37.50 to $125.00) per month or less. The liquidity barrier can be overcome with various instruments like capital subsidies and micro-loans. Capital subsidy and a soft loan from the Indian Renewable Energy Development Agency's (IREDA) Off-Grid Scheme are available for rural electrification projects, but the actual costs are usually higher than the benchmark costs. 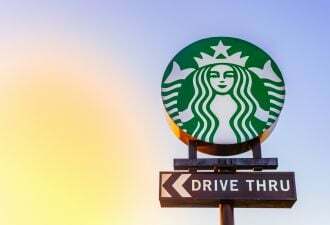 Distribution, transportation and installation in rural areas are expensive; generally, more than 20 percent of the capital cost has to be financed by the consumer. For a typical SHS of 30 Wp, this would be at least INR 3,990 ($45.00). Even this figure is often an unaffordable obstacle for the bottom-of-the-pyramid market. There are a number of companies in India that have started to successfully tackle this market. Selco Solar Lights, for example, has set up 25 energy service centers in the states of Maharashtra and Gujarat where they sell solar home systems and offer financing, as well as maintenance services. Selco sells their systems through financing agreements with regional rural banks, microfinance institutions (MFIs) and credit cooperatives. Eighty-five percent of the capital cost is covered by a loan, repayable over five years at an interest rate of 12 percent to 17 percent. 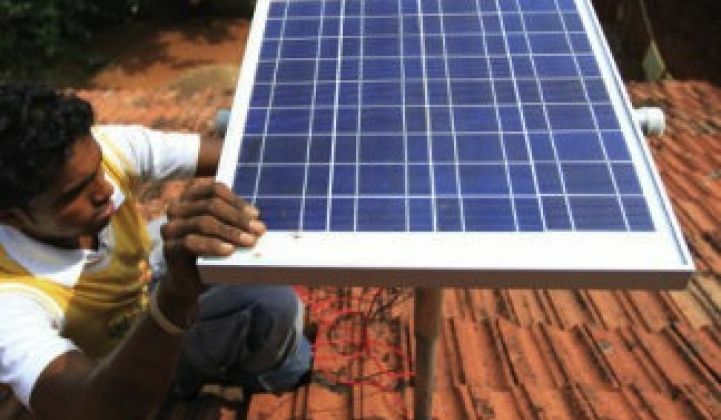 For further analysis of off-grid solar in India and the larger market, visit http://www.greentechmedia.com/research/report/the-india-solar-market-strategy-players-and-opportunities.